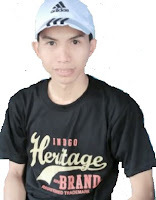 Previously, I have already explained what is IC eMMC? IC eMMC is an internal storage in a smartphone, which serves to store data such as operating system and other multimedia files. And then as to whether the IC eMMC in Nokia X2 Dual SIM? 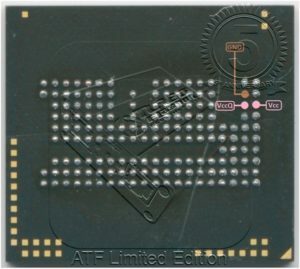 IC eMMC in Nokia X2 DS is a type of BGA IC that have foots with the pin out package 162 or 186. It usually has a serial number hqtp32A8JDDC. The serial number is very important if we want to change it, because if it doesn't fit its serial number, then it will not be able to function properly. Then where is the location of the IC eMMC in Nokia X2 DS? This is very important, if we want to replace the hardware. 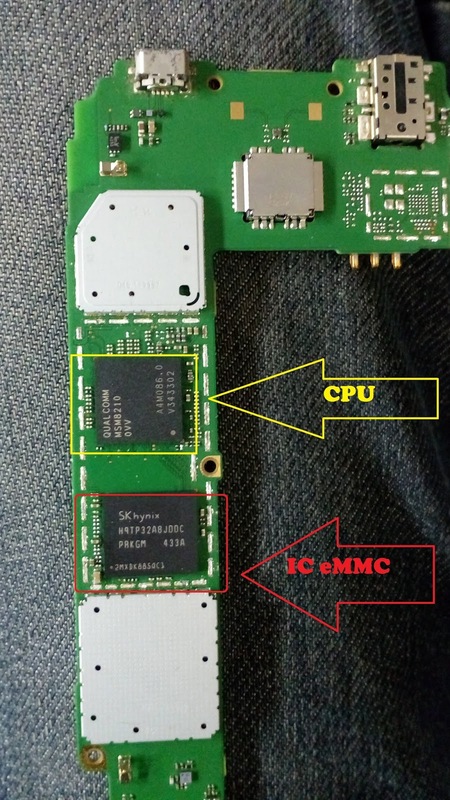 The location of the IC eMMC in Nokia X2 DS next to the CPU. It is usually written QUALCOMM MSM8210.